Dr. Williams has always wanted to start her own practice. She has begun this adventure in 2018, as a way to find more satisfaction in the modern healthcare world, for both herself and her patients. Many large medical practices make patients feel like they are just a number and people feel lost in the system. In response to this consistent feedback from her patients, Dr. Williams decided to open clinics in Grand Rapids (where she currently lives) and Big Rapids (her home town). She was greatly influenced by her mentor, Dr. William F. Dubois, II and his compassionate care approach to the patients he served for many years in the Big Rapids and Stanwood, MI communities. Dr. Williams believes in offering patients choices in healthcare and involving the patient in their own health care plans. She sees patients from birth to geriatrics. Dr. Rachel Williams grew up in Big Rapids, MI. She is an identical twin and the oldest child of Eric and Jane Williams. Dr. Williams went to medical school at the Royal College of Surgeons in Dublin, Ireland and completed her family practice residency in Midland, MI. She has been in practice for 10 years and has traveled around the USA while doing locum tenens. She has worked for the Indian Health Service, the Veterans Affairs Hospital, migrant health clinics and inner city medical clinics, just to name a few. She currently resides in Grand Rapids, MI. Dr. Williams has experience in treating a wide range of medical issues and believes that knowing her patients as people helps her to provide better medical care. 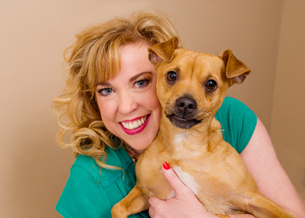 Dr. Williams loves to garden, spend time with her family and friends, play with her wonderful dog Petey (whom she is planning to certify as a therapy dog), dance, travel, read and write. She is starting a blog about her career and life in medicine. You can often find her outdoors in her free time, hands in the dirt or covered in paint from her most recent DIY project.